Gouda cheese goes well with crusty breads. 2 Can You Eat the Skin on Muenster Cheese? Like many European countries, Holland produces renowned cheeses. Gouda and Edam are, by far, the most popular Dutch cheeses and account for more than 80 percent of Holland’s cheese production, according to Clemson University. 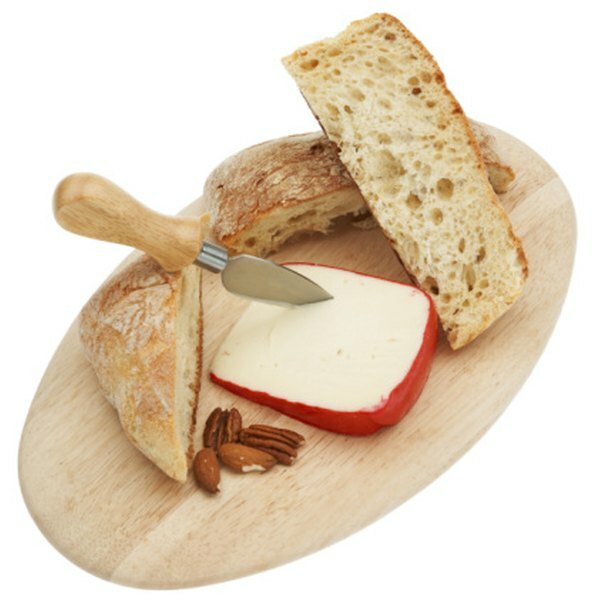 Lesser-known Dutch cheeses are not available at most grocery stores; however, they may be ordered through specialty stores. Prior to the 1960s, Gouda and Edam had distinctly different flavors. These cheeses are now mass produced under nearly identical conditions, according to Steven Jenkins, in his book, “Cheese Primer.” Both cheeses age for two months and develop mild, nutty flavors. However, Edam contains skim milk, and Gouda is made from whole milk. 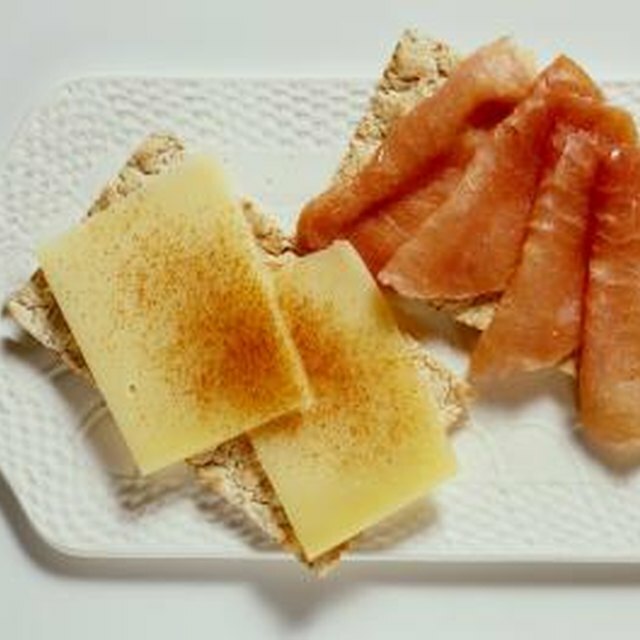 Edam and Gouda go well with fruit, bread and crackers. Gouda is also sold as a smoked cheese, or it may be flavored with pepper, cumin or herbs. Aged Gouda is a hard, golden-brown cheese with a sweet, sharp taste. The best-tasting aged Goudas have aged for two or more years, according to Jenkins. This cheese goes well with bread, fruit, beer and wine. Additionally, grated aged Gouda enhances the taste of baked potatoes and substitutes for Parmesan in some recipes. However, its flavor does not complement pasta dishes. Boerenkass is available as a young or aged cheese. Young Boerenkass, typically four months old, has a full, nutty flavor. Boerenkass ages for six to seven years and gains a robust flavor that goes well with cocktails and fruit drinks. Boerenkass is a farmhouse variation of Gouda, but it comes in a golden rind compared to Gouda’s red rind. Boerenkaas is uncommon in the United States. Authentic Leyden cheese, made in the town of Leiden, contains the stamp of two crossed keys. Although Leyden is commonly available, aged Leyden is rare. Leyden is a firm cheese flavored with caraway and cumin seeds. Aged Leyden is a hard cheese with a spicy flavor. Leyden goes well with crackers, bread and beer. Texelaar cheese, from the island of Texel, is similar in flavor to Swiss Emmental. However, the texture of Texelaar is soft, and its flavor is slightly sweet. Friesian clove cheese goes well with rye crackers, fruit and beer. This clove-infused cheese comes from the Frisian Islands; however, it is rarely found in the United States. When a Dutch cheesemaker accidentally cured a creamy Gouda cheese at a high temperature, Kernhem was the result. Kernhem, which means knife-sticker, gets its name from its soft texture. It is a rich, nutty cheese that goes well on sandwiches or with fruit. This cheese is rare in stores and may require special ordering. It has a pleasant, full taste but should not be overpowering. Maasdam Leerdammer is a Dutch version of Swiss Emmental, according to Jenkins. This cheese goes well on sandwiches and crackers. It is commonly found in the United States.